While we increasingly hear about record-setting temperatures or unusual weather patterns and extreme events, evidence of concrete, climate-related, business losses is also mounting. This May the energy industry in Canada experienced significant cut backs due to unprecedented wildfires in Alberta. Specifically, the fires led to a reduction of tar sands production by about one-third, or 800,000 barrels per day, according to data released by the U.S. Energy Information Administration. 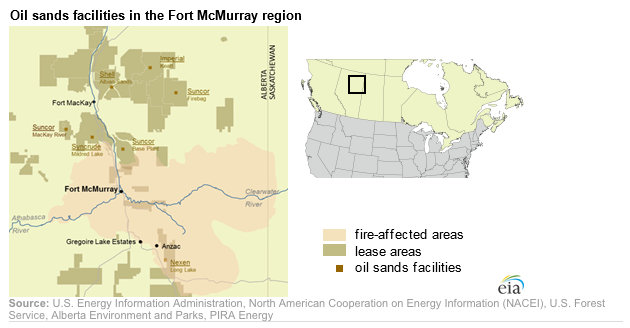 Tar sands is clearly one of the least environmentally beneficial sources of energy production. However, this highlights a growing risk for the entire energy industry’s infrastructure, pipelines and transmission systems. Add to this a recent statement by climate scientist Michael Mann that we can expect scorching heat in the U.S. Southwest to become the new normal and the need for both mitigation and adaptation has never been clearer.